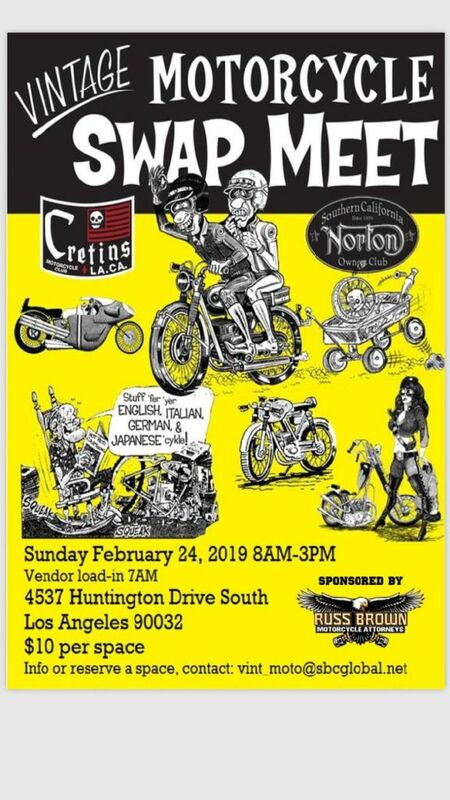 So-Cal Cycle Swap Meet Feb 24th | JRC Engineering, Inc. 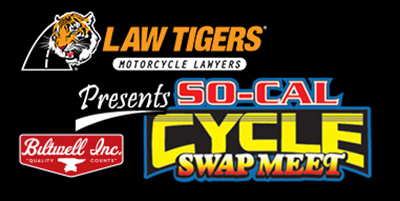 The So-Cal Cycle Swap Meet is the largest monthly gathering of riders in the USA. Held every month at Long Beach Veteran’s Stadium the So-Cal Cycle Swap Meet is an “All Brands” event with over 500 Vendors and over 1000 Bikes for show and sale. 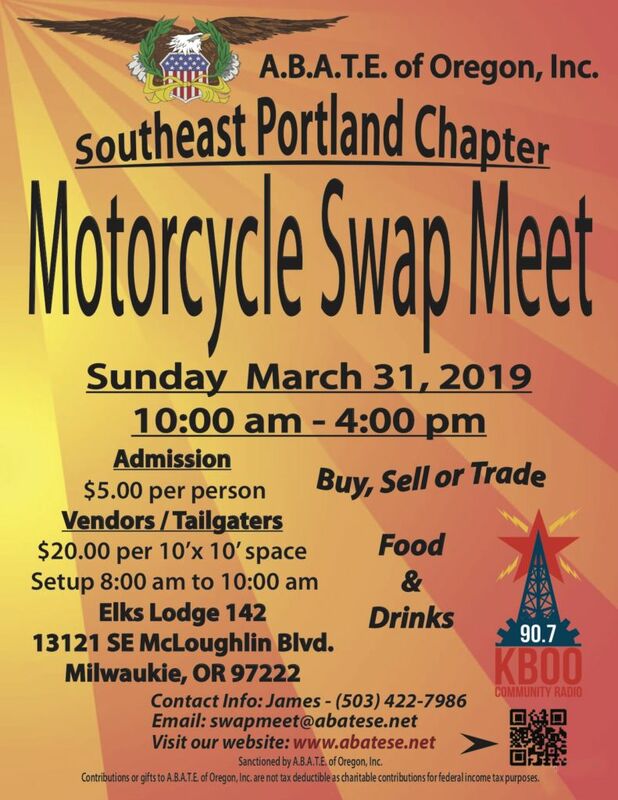 Riders and Collectors from all ends of the bike hobby, including Harley, Cruisers, Choppers, Vintage, British, Race, Off-Road, Japanese, Euro, and Bicycles get together to buy, sell, trade, show off, and talk about new, used, and vintage parts, bikes, and accessories. From professional shops and manufacturers liquidating excess inventory to the hobbyist selling off leftovers from his latest project you can find smokin’ deals on hard to find parts and accessories. Ride out and park your bike in the Bike Corral or get a vendor space and unload those old parts from your garage. Show or Sell your bike here. BIKE CORRAL – Show or Sell your bike here. The Bike Corral is an exclusive parking area inside the event where you can park, show, or sell your bike. The Corral is for complete and running bikes only. No parts sales of any kind. No trucks are permitted in the Corral at any time, though you may unload your bike in the event general parking and ride it into the corral. Turn those old parts into CASH! VENDORS – Turn those old parts into CASH! Turn those old parts into CASH! Whether you need to clear out your garage or you are a professional shop or manufacturer, anyone can be a vendor at the So-Cal Cycle Swap Meet. Vendors are limited to selling or displaying cycle related parts, services, and accessories ONLY.